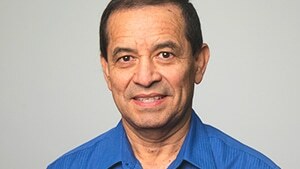 Guillermo Soriano began serving with the BSCNC in March 2007. He has been the Hispanic ministries senior consultant on the Church Strengthening Team since March 2016. His main task is to assist churches and associations in their God-given mission to make disciples of all people groups by creating a disciple-making culture through practical and comprehensive Hispanic ministries. This main task is fulfilled by providing relationship-driven consultations, leadership development and field service through the leadership of associations, local churches and geographical areas experiencing growth in the Hispanic population. 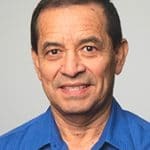 Guillermo has also served as the Hispanic evangelism and discipleship senior consultant on the Disciple-Making Team of the Evangelism and Discipleship Group, and as multicultural evangelism senior consultant of the Evangelism Group. Before joining the BSCNC, he served in Florida as department director of language church growth and development of the Florida Baptist State Convention, and as an Orlando pastor and adjunct professor of the New Orleans Baptist Theological Seminary and Baptist College of Florida extension centers. Prior to serving in Florida, he was a pastor and evangelist in Texas for seven years. Since 1976, he has engaged as a conference facilitator in marriage and spiritual renewal; a prayer and kingdom leadership team builder; a cross-cultural disciple-maker and church planter; and an equipper of disciple multipliers in Honduras and 23 other states, including Puerto Rico. He served as HMB/NAMB missionary for 12 years in Florida and North Carolina. Guillermo graduated from Louisiana Tech University as an industrial engineer in 1977. He worked in the industry and was a business owner for 10 years. He completed his master’s and doctor of ministry degrees at Southwestern Baptist Theological Seminary in Texas, focusing on evangelism and missions. He received Christ as personal Savior in 1973 while at Louisiana Tech and has been on mission for Christ’s kingdom since 1975. He has been joyfully married to Maritza since 1981 and has two married sons and two granddaughters.